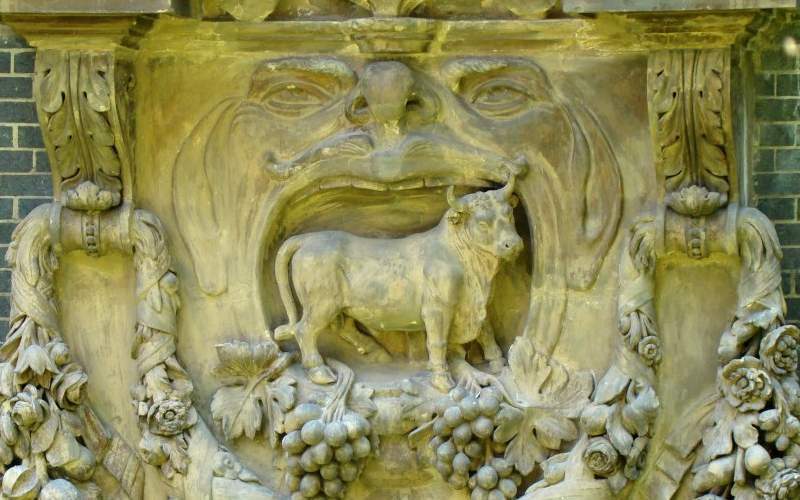 Above: The ‘Bull and Mouth’ sign now at the Museum of London. This name was once to be found in London at three locations – an inn near Aldersgate, another near Aldgate and a third in Bloomsbury. The original name was ‘Boulogne Mouth’ a reference to the mouth or entrance to the famous harbour at Boulogne, on the west coast of France. The name was a tribute to Henry VIII who captured the harbour in 1544. The name ‘Boulogne Mouth’ was gradually corrupted to ‘Bull and Mouth. The last inn by this name stood in the short street in the City of London known as St Martins le Grand. The inn is recorded by William West (1770-1854) in his ‘Tavern Anecdotes’, published in 1825. He states that ‘this is a house of much business, from whence several of the mails and various other coaches, to all parts of the kingdom, do take their departure.’ The inn was demolished 1886-87 to provide a site on which to build one of the General Post Office buildings. A City Plaque can be found on the west side of St Martins le Grand. 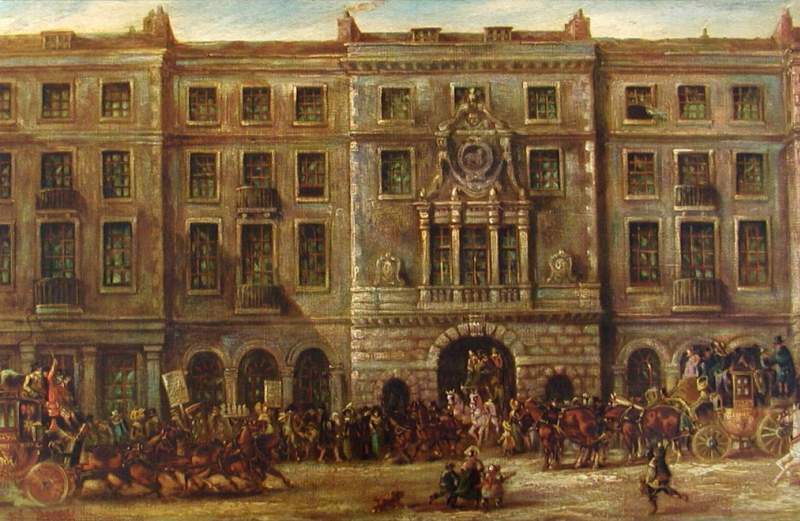 Above: Painting of the large inn frontage by John Maggs. The inn is well recorded visually. A famous artist called John Maggs recorded the exterior in a painting. Maggs was well known for making paintings of several coaching inns. The inn had a huge sign outside the building which, by chance, survived after the building was demolished. It is preserved at the Museum of London. The large sign is outside the museum near the main entrance (see photo at the top of this article). If you look carefully at the painting by Maggs, you will see the sign hit up on the wall above the entrance arch. This entry was posted in /City-Smithfield. Bookmark the permalink.